Each of these 5 methods of hunting have their place in the sport. Each one also has its advantages and disadvantages associated with it. In some instances, your choice of hunting method will be partially dictated by your environment. Spot and stalking hunting is a hunting method where the hunter first attempts to locate a deer (or other animal) from a distance, and then sneak (stalk) towards the animal to within shooting range. It involves spending a lot of time at a high vantage point, looking through either binoculars or a spotting scope (glassing). It also entails significant amount of walking, since you normally spot an animal from a long distance away. Spot and stalk hunting is likely the most physically demanding of the hunting methods. 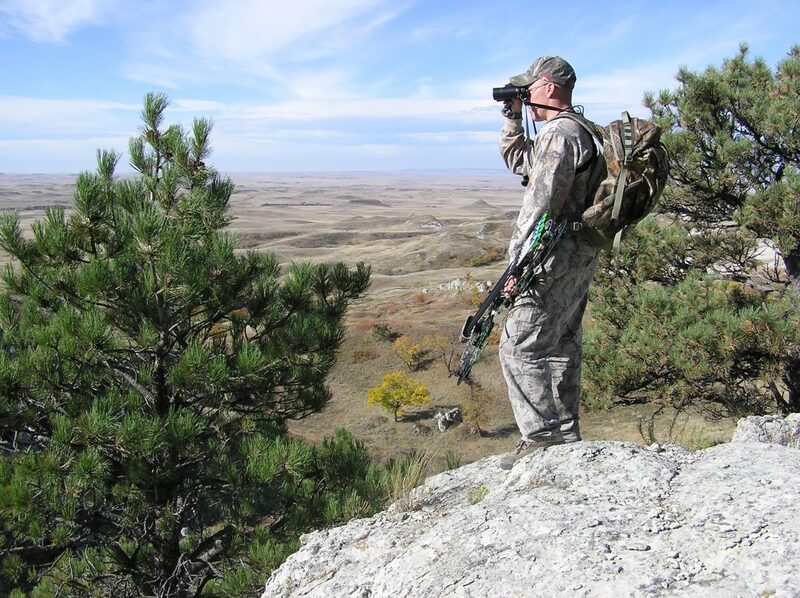 It is a hunting method that is best suited for wide open spaces, where a hunter has high visibility of the surrounding environment. One benefit of spot and stalking hunting is that it allows you to determine whether or not the animal is a legal animal long before you have to decide if you should take the shot. Another advantage is that you can cover significantly more land during a hunt, since you can cover the land with your eyes instead of on foot. I will go more in depth into strategies and tips for spot and stalk hunting in a future post. Ambush hunting is basically the polar opposite hunting method to spot and stalk hunting. While spot and stalk hunting involves finding an animal from a distance and sneaking up to within shooting range, ambush hunting involves letting the animal come to you. It is a widely used hunting method in the United States, and typically involves the use of a hunting blind or a tree stand. If using a treestand, remember to wear a harness for safety! Ambush hunting relies on the fact that animal movements are somewhat predictable, allowing a hunter to anticipate where an animal might pass by. Many ambush hunters prefer to setup the ambush site around bedding, food sources, or the trails between the two. Based on the name “still hunting”, one might think that you should remain still. Thats not actually the case. Still hunting involves walking slowly and stealthily through the animal’s habitat. During the slow walk, the hunter takes many frequent stops in order to scan and listen for game. A general rule for still hunting is that you should spend 10 times longer being still and observing your surroundings than walking. When it comes to still hunting, the two most important factors are playing the wind and walking in an area where you will make limited noise. Decoy and Calling hunting is a hunting method in which the hunter uses decoy animals and game calls in order to draw the animal towards the hunter. It is a commonly used technique for turkey hunting and waterfowl hunting, although it can also be used for many big-game species. However, for big-game hunting the use of decoys should be limited to bowhunting only. This is because the decoy animals are so lifelike that they can fool animals. If they can fool animals, it is a good bet that they can also fool other hunters. And you don’t want other hunters shooting in your direction! Drive hunting is one of the hunting methods that you cannot do solo. It involves having one or more hunters disturb game animals, causing them to flee towards the direction of waiting hunters. The waiting hunters then shoot the animals as they pass. I will go more in depth into strategies and tips for each of these hunting methods in a future post. 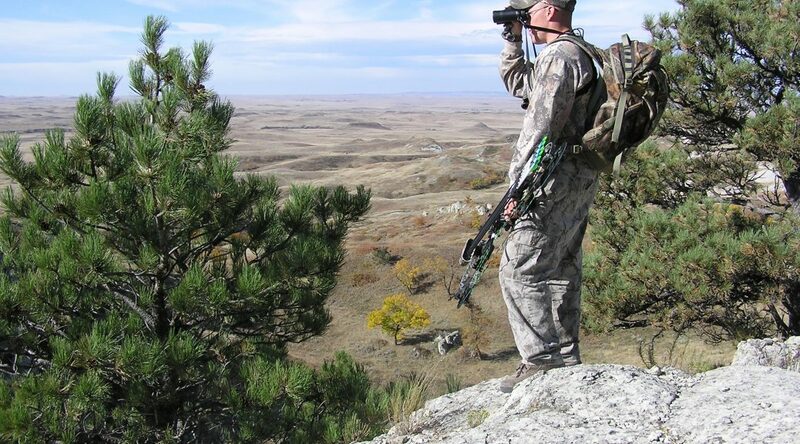 What is your preferred hunting method?